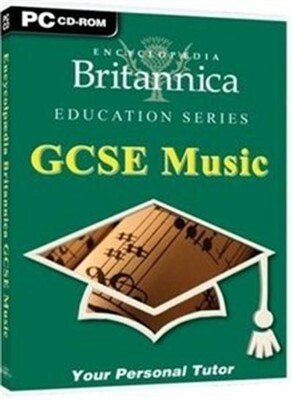 Encyclopaedia Britannica GCSE Music, offering a solid foundation in music theory, this CD is suitable for both GCSE Music students and those taking AEB examinations. Interesting and informative teaching is combined with numerous interactive exercises, which make this CD an essential and enjoyable product for all music students. The sounds of over 100 instruments are available to accompany examples, serving to support content and explanations.